Breakfast is my favourite meal of the day and has been since before I can remember. I love the smell of coffee in the morning, the sound of something delicious sizzling away on the griddle and the satisfaction of pouring yourself a glass of fresh fruit juice. A good breakfast sets me up for the rest of my morning and keeps me full and satisfied. 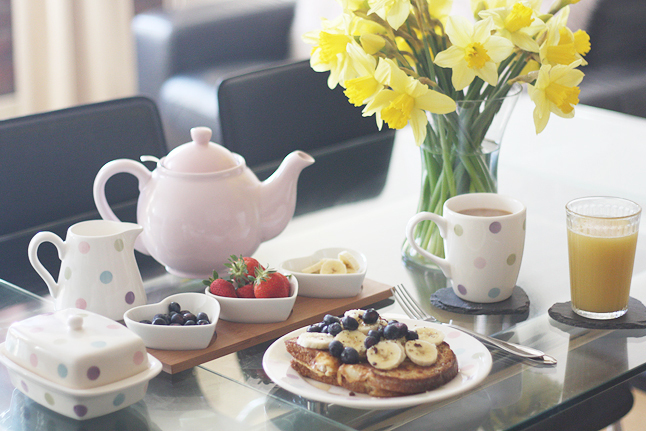 I adore going out for breakfast but I also love to prepare it at home. On work mornings a couple of Weetabix or a few slices of toast (most likely eaten whilst I'm hurriedly getting dressed) has to suffice, but on my days off I like to spoil myself. If I don't have anything planned on my day off, I'll have a long lie in and then head into the kitchen to prepare my feast. The first thing I'll do is make myself a large mug of tea before deciding on what I fancy to eat. I usually always have eggs, whether they be scrambled, boiled or made into French toast. I opted for the latter this morning, topped with fruit and a generous amount of runny honey. I usually watch TV or flick through a magazine whilst enjoying my breakfast. I love being able to take the time to relax and savor my food, rather than cramming it into my mouth before rushing out the door. It's almost like a little pamper routine; half an hour of well-earned 'me-time'. 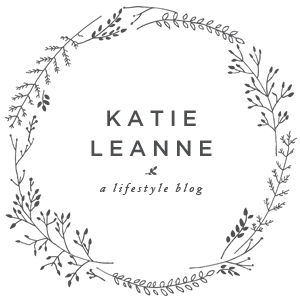 I usually follow it up with a browse of my bloglovin feed (accompanied by another cup of tea, of course) or an hour of reading before I go about the rest of my day. these pictures are so so lovely, it's definitely making my mouth water! 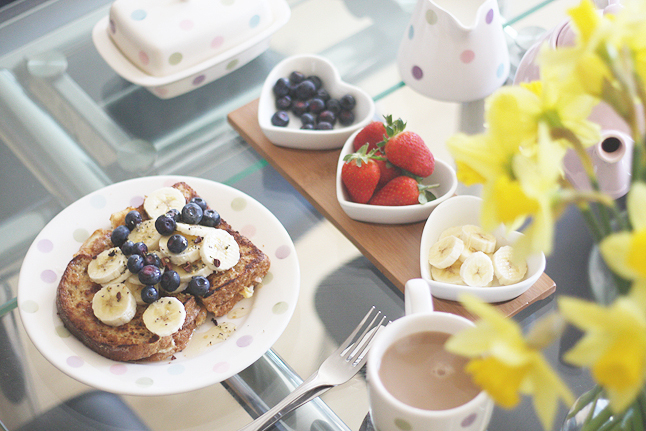 i used to hate breakfast, especially before school but now when i actually have time to make it is more enjoyable! This looks amazing! Being able to sleep in an enjoy a big slow breakfast is such a luxury. 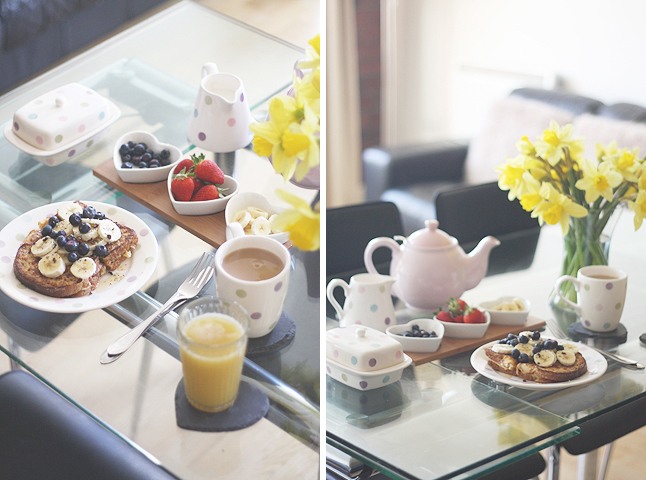 I love the gorgeous photos, a good breakfast set up always really pleases me! Admittedly, my breakfast choice is a lot more unhealthy than yours! I am not a big breakfast fan but I love coffee in the morning and also, I make sure that at least I eat a piece of bread before going to work. But if I got to eat this breakfast set every morning, I will be an instant big breakfast fan. Lovely photos! The prettiest meal of all - pity I'm rarely hungry right after waking up.